Microsoft Windows 10 comes with its own default PDF viewer which is built-in to Microsoft Edge, company’s latest web browser. 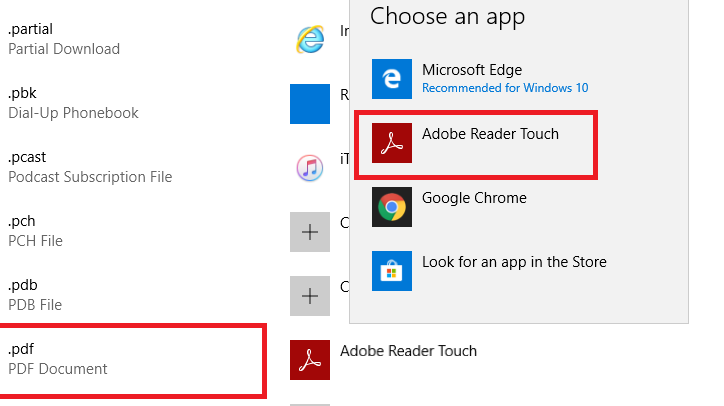 While the Microsoft Edge PDF viewer may work fine most of the time, some of us prefer to use PDF applications like the Adobe Reader and Adobe Acrobat in Windows 10. This is true with all the other web browsers as well including Google Chrome, Mozilla Firefox and Opera browser. Now if you are using a PDF application like Adobe Reader or Adobe Acrobat or even Foxit, here is how to set it as default PDF viewer in Windows 10. While the Windows 10 settings page has a setting to set default apps, setting default apps from Control panel seems to work better. Click the Cortana search bar and type Control Panel. 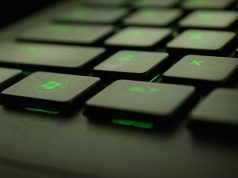 Click to open Control Panel. The apps will start loading. From the left side, select your PDF application. I am using Adobe Reader Touch so I will select the same. 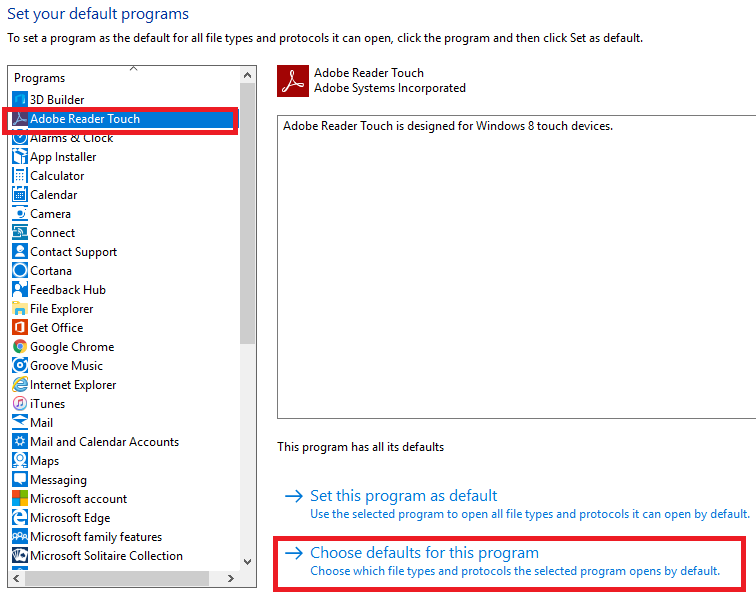 From the right side, click Choose Defaults for this program. Notice that in the Current Default section, the selected PDF viewer is set to Microsoft Edge or something else. We will change the current default to your PDF application. Select a .pdf option and click Save. Now try to open any PDF document, and it should open in your selected default PDF viewer. 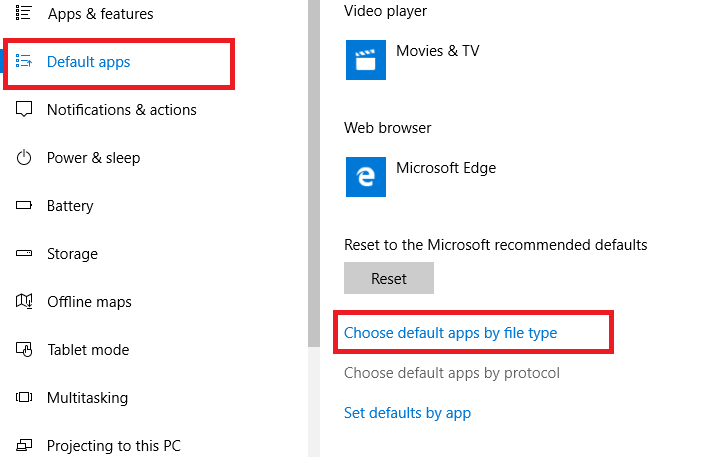 You can also change the default apps in Windows from the settings. Here is how to do it. Select Default Apps from the left side. Scroll down and look for the .pdf file type. On the right side of the .pdf file type, you should see Microsoft Edge or any other application set as the default PDF viewer. Click on it and select your preferred PDF application from the list. Most of the apps come with an option that allows the users to set system default apps from its settings. This also works with most of the PDF viewer application. 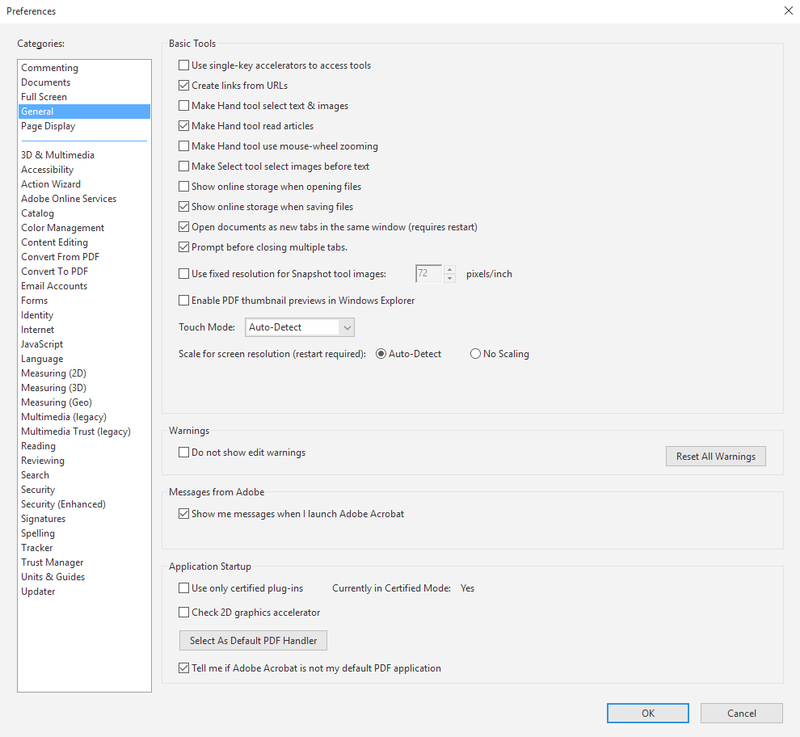 Here is how to set Adobe Acrobat as Default PDF Viewer from the preferences. Launch Adobe Acrobat Reader and go to Edit > Preferences. Select the General tab from the left side. From the right side, scroll down click Select As Default PDF Handler. 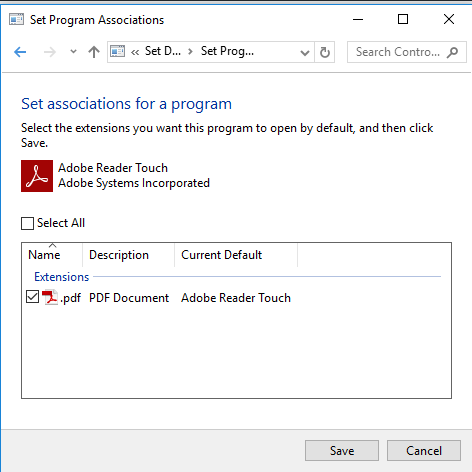 If you have multiple PDF applications, say Adobe Reader and Adobe Acrobat Reader, and you try to set Adobe Acrobat Reader as the default PDF viewer, it may not work. The Adobe reader will remain as the default PDF reader irrespective of your selection. This happens if you have multiple PDF viewer applications installed. A quick solution for this problem is to uninstall all the third-party PDF viewer application except the one that you want to set as default. So, if you have both Adobe Reader and Adobe Acrobat Reader, uninstall Adobe Reader to use Adobe Acrobat Reader as the default PDF viewer.